Scale the poisonous volcanoes of Venus and the ancient red dunes of Mars. Bore through the icy crust of Europa to imagine life in hidden seas. Navigate the otherworldly archipelagos of Titan in the shadow of Saturn’s dreamy rings. 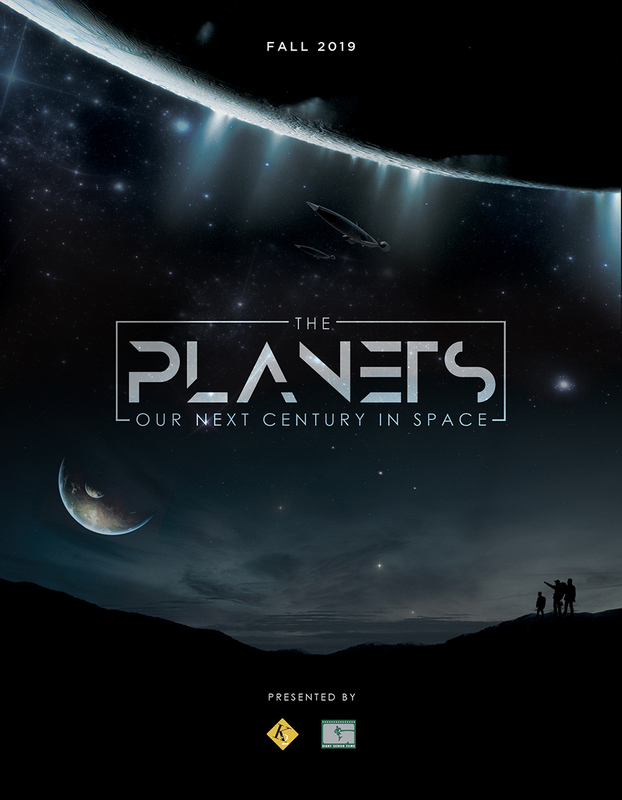 The Planets is journey from science fiction to ‘science vision,’ an aspirational look at the next century in human spacefaring achievement, profiling the technological and pioneering stepping stones thought necessary for humankind to become a truly interplanetary species. From moon bases and space elevators to asteroid outposts and aerostatic habitats, the film will profile the dreamers of today – engineers and artists from universities, international space agencies and private enterprise – whose proof-of-concept technologies and mind-blowing innovations may one day allow our children’s children to push ever deeper into a solar system both beautiful and bizarre.